I was looking for some shoes for my niece in the Grays Shoezone - a pair of heels to go with a new dress - but I wasn't sure about the sizing. 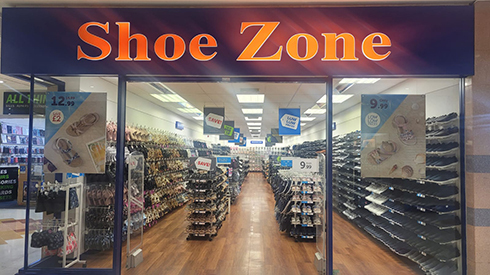 The store staff were extremely helpful and explained how I could use a special insole and cut it to size so that the shoes would fit well and then also gave me information on some heel grips which will aid comfort. Very very pleased with my purchase and the staff were so helpful - which is unusual in most shops these days. They had so much time and patience with me - was lovely. Thank you.